This article suggests a new perspective for understanding this pathology and will guide your decision making based on the available evidence. 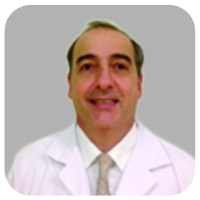 Department of Orthopaedics, Hospital Italiano de Buenos Aires, Servicio de Ortopedia y Traumatología “Dr. Prof. Carlos E. Ottolenghi”, Ciudad Autónoma de Buenos Aires, Argentina. Hospital Italiano de Buenos Aires, Servicio de Ortopedia y Traumatología “Dr. Prof. Carlos E. Ottolenghi”, Ciudad Autónoma de Buenos Aires, Argentina. Introduction: Baker’s cyst has a high prevalence in adult population. Despite being usually asymptomatic, cyst complications may develop, such as an infection, rupture and content dissemination into the calf. This clinical presentation has a low incidence with few reports in the literature. We have not found any publication describing a systematic approach for its treatment. The purpose of this study is to propose a new classification, diagnosis, and treatment recommendations based on a case report and a literature review to guide physicians on the best course of treatment. Case Report: A 53-year-old man presented with sudden left popliteal pain associated with progressive knee and calf swelling and limited knee flexion. After the initial evaluation, a Baker’s cyst rupture and dissemination into the calf, associated with a septic arthritis, were diagnosed. An arthroscopic surgical irrigation of the knee and open debridement of the calf collection were performed. Conclusion: Our classification may allow an accurate and structured description of the different stages of Baker’s cyst presentations, with simplification of the clinical description, diagnosis, and treatment approaches. Key words: Baker’s cyst, Knee infection, Septic arthritis, Treatment algorithms, Diagnosis algorithms. The Baker’s cyst is a frequent condition among patients between 35 and 70 years old. Most of the cases are associated with chronic arthropathies. Complications of popliteal cysts impose a differential diagnosis challenge. The most common ones are cyst rupture or infection. There are reports about septic arthritis presenting with a cyst rupture [1, 2, 3, 4, 5, 6, 7, 8, 9, 10], but only a few describe its extension to the calf associated with concomitant septic arthritis. Those cases are usually associated with autoimmune rheumatic diseases or patients with some kind of immuno suppression condition [4, 6, 7]. Due to the low frequency of this presentation, there are currently no therapeutic guidelines available for its management. We present a case of an infected ruptured Baker’s cyst with content dissemination into the calf associated with a septic arthritis of the knee. We propose a new classification, diagnosis, and treatment algorithm to proceed in these cases. A 53-year-old male patient presented to another medical center with sudden left popliteal pain, associated with knee swelling and limited knee flexion. A magnetic resonance imaging (MRI) showed a gastrocnemius strain, a meniscus tear and the presence of a popliteal cyst. Symptomatic treatment was indicated. The patient progressed unfavorably with increased swelling and pain (Fig. 1a). A week later, the patient was evaluated at our hospital. He was afebrile with stable vital signs. A Doppler ultrasound ruled out a deep vein thrombosis and showed a voluminous fluid collection (15 cm × 3 cm) located at the popliteal fossa tracking down up to the distal third of the calf (Fig. 1b). Blood tests showed high acute-phase reactant levels (ESR 59 mm/h and c-reactive protein 51.8 mg/dL) with an increased white blood cell count (WBC) (18.200 cells/dL; 79% polymorphonuclear [PMN]). We performed a calf puncture obtaining 150 ml of a bloody viscous fluid. The laboratory results showed pH 6.7, glucose <20 mg, proteins 4.7 mg/dL and WBC 85.000 cells/mm3 (60% PMN). Cultures were positive for Staphylococcus aureus. An MRI revealed the presence of a complicated (ruptured) Baker’s cyst and a fluid collection around the gastrocnemius muscles (Fig. 1c). Afterward, we performed an articular knee puncture, obtaining a purulent fluid also with a positive culture for S. aureus. A surgical debridement of the knee and the calf was performed. Through arthroscopic portals, the joint was irrigated with 6 L of saline solution and the knee was then sterilely bandaged. Following that, a longitudinal posteromedial approach in the middle-third of the leg was performed to drain the collection (Fig. 2). The cavity was debrided and the joint was irrigated again to reverse any retrograde contamination. Drainage and an elastic bandage were left to prevent post-operative swelling. Five days after the surgical procedure the patient presented no pain, the swelling had decreased significantly and the articular range of motion had been restored. The patient was discharged with a light toe-bearing gait; he was allowed to walk supporting himself only in his non-operated leg with crutches for 15 days (he could only touch the floor with his operated leg to maintain balance, this prevents wounds complication such as hematoma and dehiscence). The patient progressed to full weight bearing gait 2 weeks postoperatively. As he was a young patient and had no risk factors for deep venous thrombosis, we prescribed aspirin 325 mg a day during 3 weeks for thromboprophylaxis. Intravenous antibiotic treatment was maintained during 6 weeks with ceftriaxone. This was indicated as septic arthritis protocol for cultures positive for S. aureus. No oral antibiotic was administered afterward. The Baker’s cyst pathophysiology is based on unidirectional flow of intra-articular synovial fluid controlled by a valvular mechanism that is depicted by arthrographies . This valvular mechanism may be explained by the presence of a septum, pedicular bending or obstruction caused by loose bodies inside the cyst (Fig. 3) [12, 13, 14, 15]. Foucher  described the synovial fluid flow between the joint and the cyst following a pressure gradient and how the communication is closed during the knee extension. He observed that, during manual compression of the cyst, the synovial fluid moved into the joint as long as the knee was inflexion, making the cyst smaller to palpation. This could not be done with the knee in extension. This is called the “Foucher’s sign”. This phenomenon is attributed to the gastrocnemius and soleus muscles relaxation, producing cyst hardness in full knee extension followed by cyst softening with knee flexion. In knee flexion, the communication between compartments is open, allowing flowing of the synovial fluid, with the subsequent balance of pressures. This may explain why patients refer to feel more pain while the knee is extended and relief during knee flexion. The surgical treatment of a simple cyst and its complications is controversial [7, 16]. Despite surgical indications are rare , several arthroscopic [17, 18, 19] and open techniques [20, 21, 22, 23] have been described. Some authors describe a combined surgical techniques, treating the valve mechanism in an arthroscopically way and then performing an open cystectomy . Based on this case report and the literature review, we propose a new classification, diagnosis and treatment algorithm for infected Baker’s cysts. We consider the cyst and the knee joint to be differentiated “compartments” connected by a valve mechanism. In cases of cyst rupture with content dissemination, we consider the calf collection as a third compartment. Thus, the clinical presentation may be as a uni-, bi-, or tri-compartmental infection. A “septic compartment” is defined by a purulent fluid sample obtained by puncture or a positive direct cytological examination. Culture samples are not considered in the acute infection context due to the delay in obtaining the results. This is a dynamic classification, as it changes according to the stages, the increase in severity and the surgical complexity. A patient may progress into a higher stage while the infection spreads or, for example, after an iatrogenic infected cyst rupture during arthroscopy. The cyst may present as preserved or disrupted (broken). To diagnose a Baker’s cyst rupture, an ultrasound or MRI should be performed. However, the presence of a calf collection with a personal history of a known Baker’s cyst would make us assume its rupture. Frequently, the cyst presence is associated to known knee pathology (94%) , such as a meniscal tear (71–82%) , an anterior cruciate ligament rupture, trauma, previous surgeries, degenerative arthritis, gout or any cause of synovitis . It is also described in rheumatoid arthritis (33%) , Behçet disease, and psoriatic arthritis [1, 28, 29]. The presence of a Baker’s cyst has been reported secondary to loosening, osteolysis and polyethylene debris related to knee arthroplasties [14, 30]. Clinical findings and laboratory examination for septic arthritis are extensively described in the literature [31, 32, 33]. The patient may present posterior knee pain and local swelling . In case of rupture, it is usually described as a sudden pain. The increased size of the cyst may cause a reduced articular range of motion  or even articular blockage. Some clinical findings suggest cyst presence (“Foucher’s sign” ) or cyst rupture (“Crescent’s sign” [37, 38] and “pseudothrombophlebitis syndrome” [39, 40, 41, 42]). It is known that between 2% and 6% of deep venous thrombosis (DVT) are truly pseudothrombophlebitis as a consequence of a Baker’s cyst rupture . It is also important to emphasize that a cyst rupture may be worsened by the administration of heparin or anticoagulants for a DVT treatment, so an accurate diagnosis should always be performed [42, 44]. A knee ultrasound allows identification of any increase in synovial fluid volume and eventually shows the presence or the rupture of the cyst. A calf ultrasound would be useful to confirm a collection after cyst rupture and fluid dissemination. One report suggests completing the evaluation with a foot ultrasound since foot compromise has been described after calf infected collection, requiring an open debridement . MRI is the gold-standard imaging study to confirm the presence and the complications of a Baker’s cyst [45, 46]. It also allows a correct diagnosis of the primary cause of the cyst (arthritis, meniscal tear, osteochondral defects, etc.,) . An arthrocentesis is useful to differentiate between an inflammatory, septic, or mechanic etiology . A calf collection puncture obtaining a viscous synovial-like fluid suggests a Baker’s cyst rupture. Cyst puncture could require ultrasonography guidance . After a ruptured cyst diagnosis, there is no need to perform a cyst puncture. Wu et al. reported a case in which by doing a cyst puncture they diagnosed an isolated cyst infection. Literature is inconclusive concerning opening or closing the pedicle, even for non-septic cysts. Some authors suggest pedicle suturing [14, 20, 48]. Many others support debridement and pedicle opening to allow a continuous bidirectional flow [23, 49]. The evidence is also inconclusive on whether the resection of the cyst should be complete or partial. Cystectomy is usually avoided, except when primary cysts are extremely symptomatic [20, 50]. Frush et al. claimed that there is no need to perform a complete cystectomy as a partial one (between 50% and 75% of the cyst) with cyst decompression may achieve good results as well. The recommendation is to treat the primary disease (e.g., a meniscal tear with partial meniscectomy) to avoid cyst recurrences [20, 51]. If possible, the advice is to treat the cyst during the same procedure. Fritschy et al. [20,52] suggest that the cyst will disappear once the primary disease is solved, arriving to the conclusion that there is no need to resect a non-complicated cyst. Our suggestion is to perform the surgery with the knee in extension for stages 1A and 1B. This position closes the valve and avoids intercompartmental contamination. For stage 2A, we suggest maintaining the knee in flexion to open the valve to equalize pressures between compartments and prevent an iatrogenic cyst rupture. For stages 2B and 3, we recommend knee extension to avoid retrograde flow from the cyst or calf collection. The use of a tight Esmarch bandage over the calf during arthroscopy may prevent calf contamination in case of an iatrogenic cyst rupture. Our recommendation is to use it during the articular irrigation in stages in which the cyst is still intact (1A, 1B y 2A). We recommend controlling pump pressure during arthroscopy. With higher pressures, the risk of retrograde flow decreases, but the risk of an intraoperative cyst rupture increases. The normal bursal pressure is about 16 mmHg . To get an optimal articular visualization, 28 mmHg is required. At 30 mmHg, small articular vessels are collapsed, and at 70 mmHg, the articular capsule is distended . We consider pressures between 0 and 30 mmHg as a “low pressure”, between 30 and 50 mmHg as a “moderate pressure”, between 50 and 60 mm Hg as a “safety margin” and more than 60 mmHg as a “high pressure”. We do not recommend exceeding these values. Some authors reported cyst ruptures during arthroscopies using a 60 mmHg pump [5, 7]. We suggest manual (no pump) or low-pressure articular irrigation for stage 2A to avoid cyst rupture. In advanced stages presenting cyst rupture (2B and 3), we recommend a high-pressure irrigation pump, preferably with more than 60 mmHg, to create a strong pressure gradient impairing retrograde contamination from the calf. We always suggest a formal calf approach in cases of septic cyst rupture. There have been reports of compartmental syndromes after non-septic cyst ruptures that required a fasciotomy [27, 42, 44, 55, 56]. The use of drainages or vacuum-assisted closure (VAC) technique has also been described [6, 29]. We propose the use of aspirative drainage in the calf for stages 2B and 3 to guarantee a flow outside the knee, preventing articular recontamination. This may protect articular cartilage. The use of cement pearls loaded with antibiotics in the calf has also been reported . 1. Arthrocentesis and sampling of articular fluid. 2. Cyst puncture under ultrasound guidance using an Abbocath needle to obtain fluid samples and decompress the cyst. Do not remove the needle. 3. Compress the calf with the Esmarch bandage. a. Stage 1B: Use manual or low- pressure irrigation. b. Stage 2A: Use moderate pressure. 7. Perform the knee debridement while the Abbocath needle is still inside the cyst cavity to allow fluids to flow away from the knee (Fig. 4). 8. Close the irrigation. Once the irrigation stops (and the knee pressure goes down), take the needle out. 10. Close the arthroscopic portals. a. Stage 1B: In extension. b. Stage 2A: In flexion. 12. There is no consensus about the knee height after surgery. The cystic drainage before the knee irrigation decreases the risk of articular contamination . Treating the cyst at the beginning avoids complications such as knee contamination with infected fluid and the iatrogenic cyst rupture during the knee irrigation . 2. Place the knee in extension. 4. Arthroscopic pump using high pressure. 5. Perform the knee debridement. 6. Perform the calf-open approach and fluid sampling without stopping knee irrigation. Then, proceed to the calf debridement. Do not close the calf wound yet. 7. Exchange surgical fields and gloves. 8. Start knee irrigation through portals using high pressure. 9. Close the calf wound (using VAC or aspirative drainage). 10. Turn down the irrigation pump. Close knee portals. 11. Maintain knee in extension after surgery. 12. Avoid raising the leg after surgery. For a non-infected painful cyst, literature suggests knee immobilization with semi-flexion casting to avoid cyst rupture . Our recommendation is that, for uni-compartmental infections (1A and 1B), the immobilization in extension will keep the valve closed, avoiding the intercompartmental contamination. In stage 2A, there is already a bicompartmental infection, so keeping the valve open (knee in flexion or semi-flexion) would allow cyst pressure to decrease and prevent its rupture. For advanced stages with cyst rupture (2B and 3), we suggest immobilization in extension to close the valve and prevent retrograde flow from the calf. Postoperative leg height in stages 1A, 1B, and 2A makes no difference. In stages 2B and 3, we suggest maintaining the leg down to avoid gravitational retrograde flow from the calf to the knee. We also recommend avoiding the use of elastic bandages for the same reason. This retrograde flow from the calf to the knee caused by gravity and calf compressive bandaging was empirically demonstrated by Hall et al. . The use of antibiotics in septic arthritis should be empiric during initial treatment and then adjusted according to culture results . Anticoagulation therapy consists of aspirin 325 mg a day during 3 weeks if the patient is young and has no medical history or risk factors for deep venous thrombosis. If the patient is older than 65 years old or there is any risk factor, we prescribe enoxaparin 40 mg subcutaneously a day for the same time interval. A post-operative ultrasound in those patients who maintain an intact cyst (1A, 1B, and 2A) may allow an early diagnosis of iatrogenic intraoperative rupture . Although reoperation rates are not known for each stage, the presence of a Baker’s cyst (intact or ruptured) is associated with an increase in second-look rates. Frush et al. and Eichinger et al. suggest that a MRI should be performed in those patients with surgically treated septic knees arthritis with no signs of recovery in order to rule out a Baker’s cyst that could be acting as an infection reservoir. Based on our experience and the cases reported in the literature, we propose for the diagnosis and treatment of an infected Baker’s cyst, a three compartmental staged new classification according to the cyst topography and septic condition of each compartment. This classification may allow an accurate and structured description of the different stages of infected Baker’s cyst presentations, with simplification of the clinical description, diagnosis, and treatment approaches, simplifying bibliographical searches and decision-making. Baker’s cyst infection may result in a surgical emergency in which the surgeon should be aware not only of the knee involvement but also about the possible dissemination to the calf. We suggest always suspecting the presence of a cyst, particularly in cases of recurrent septic knee arthritis. Perform an MRI before surgery. If not available, an ultrasound will help with the diagnosis and fluid sampling. A viscous synovial-like fluid in calf samples suggests a Baker’s cyst rupture. Remember Foucher’s sign: open or close the pedicle depending on the cyst’s stage. Be aware of the arthroscopy pump pressure, intraoperative cyst rupture may happen. An open-calf approach in cases of septic cyst rupture will be necessary. 1. Tashjian RZ, Nickisch F, Dennison D. Ruptured septic popliteal cyst associated with psoriatic arthritis. Orthopedics 2004;27:231-3. 2. Richards AJ. Ruptured popliteal cyst and pyogenic arthritis. Br Med J (Clin Res Ed) 1981;282:1120-21. 3. Mannino M, Marino C, Chawla K. Ruptured pyogenic baker’s cyst. J Natl Med Assoc 1988;80:1018-9, 1022. 4. Izumi M, Ikeuchi M, Tani T. Septic arthritis of the knee associated with calf abscess. J Orthop Surg (Hong Kong) 2012;20:272-5. 5. Corten K, Vandenneucker H, Reynders P, Nijs S, Pittevils T, Bellemans J, et al. A pyogenic, ruptured baker’s cyst induced by arthroscopic pressure pump irrigation. Knee Surg Sports Traumatol Arthrosc 2009;17:266-9. 6. Kosuge DD, Teare L, MacDowell A. Corynebacterium septic arthritis of the knee presenting as a ruptured septic popliteal cyst. Eur J Trauma Emerg Surg 2010;36:597-9. 7. Papadopoulos A, Karachalios TS, Malizos CN, Varitimidis S. Complicated septic arthritis after knee arthroscopy in a 75-year-old man with osteoarthritis and a popliteal cyst. BMJ Case Rep 2015;2015:pii: bcr2014207394. 8. Stewart IM, Swinson DR, Hardinge K. Pyogenic arthritis presenting as a ruptured popliteal cyst. Ann Rheum Dis 1979;38:181-2. 9. Hall S, Wong C, Littlejohn GO. Popliteal cyst rupture in septic arthritis. Med J Aust 1982;2:385-6. 10. Mason L, Vannett N, Carpenter E, Davies J. Posterior leg compartment abscess following rupture of infected baker’s cyst: A complication of intra-articular corticosteroid injection. Internet J Orthop Surg 2007;10. Available from: http://ispub.com/IJOS/10/1/8685. 11. 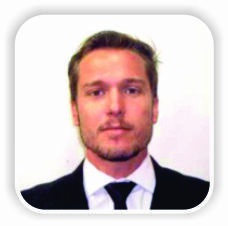 Lindgren PG, Willén R. Gastrocnemio-semimembranosus bursa and its relation to the knee joint. Anatomy and histology. Acta Radiol Diagn (Stockh) 1977;18:497-512. 12. Torreggiani WC, Al-Ismail K, Munk PL, Roche C, Keogh C, Nicolaou S, et al. The imaging spectrum of baker’s (Popliteal) cysts. Clin Radiol 2002;57:681-91. 13. Rauschning W. Anatomy and function of the communication between knee joint and popliteal bursae. Ann Rheum Dis 1980;39:354-8. 14. Frush TJ, Noyes FR. Baker’s cyst: Diagnostic and surgical considerations. Sports Health 2015;7:359-65. 15. Jayson MI, Dixon AS. Valvular mechanisms in juxta-articular cysts. Ann Rheum Dis 1970;29:415-20. 16. Zhou XN, Li B, Wang JS, Bai LH. Surgical treatment of popliteal cyst: A systematic review and meta-analysis. J Orthop Surg Res 2016;11:22. 17. Billières J, Lascombes P, Peter R. Popliteal cysts: Etiologic and therapeutic approach. Rev Med Suisse 2014;10:1211-5. 18. Thiery JA. Arthroscopic drainage in septic arthritides of the knee: A multicenter study. Arthroscopy 1989;5:65-9. 19. Skyhar MJ, Mubarak SJ. Arthroscopic treatment of septic knees in children. J Pediatr Orthop 1987;7:647-51. 20. Fritschy D, Fasel J, Imbert JC, Bianchi S, Verdonk R, Wirth CJ, et al. The popliteal cyst. Knee Surg Sports Traumatol Arthrosc 2006;14:623-8. 21. Haggart GE. Synovial cysts of the popliteal space: Clinical significance and treatment. Ann Surg 1943;118:438-44. 22. Rauschning W, Lindgren PG. Popliteal cysts (Baker’s cysts) in adults. I. 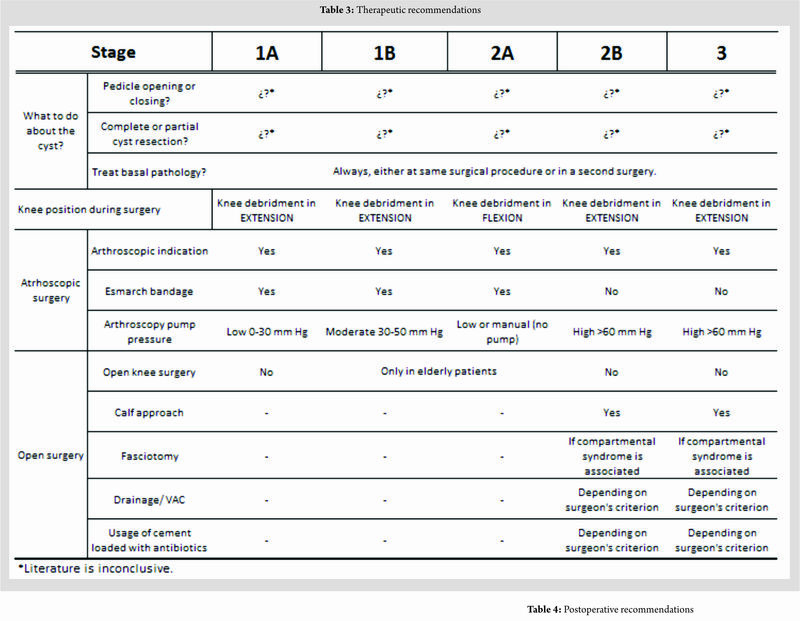 Clinical and roentgenological results of operative excision. Acta Orthop Scand 1979;50:583-91. 23. Lie CWH, Ng TP. Arthroscopic treatment of popliteal cyst. Hong Kong Med J 2011;17:180-3. 24. Ahn JH, Lee SH, Yoo JC, Chang MJ, Park YS. Arthroscopic treatment of popliteal cysts: Clinical and magnetic resonance imaging results. Arthroscopy 2010;26:1340-7. 25. Stone KR, Stoller D, De Carli A, Day R, Richnak J. The frequency of baker’s cysts associated with meniscal tears. Am J Sports Med 1996;24:670-1. 26. Yoo MJ, Yoo JS, Jang HS, Hwang CH. Baker’s cyst filled with hematoma at the lower calf. Knee Surg Relat Res 2014;26:253-6. 27. 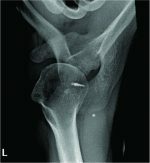 Hamlet M, Galanopoulos I, Mahale A, Ashwood N. Ruptured baker’s cyst with compartment syndrome: An extremely unusual complication. BMJ Case Rep 2012;2012:pii: bcr2012007901. 28. Rubin BR, Gupta VP, Levy RS, Marmar E, Ehrlich GE. Anaerobic abscess of a popliteal cyst in a patient with rheumatoid arthritis. J Rheumatol 1982;9:733-4. 29. Wu KY, Yang DH, Chen CW. Pyogenic baker cyst in a patient with psoriatic arthritis during etanercept therapy. Ann Saudi Med 2015;35:260-2. 30. Moyad TF. Massive baker cyst resulting in tibial nerve compression neuropathy secondary to polyethylene wear disease. Am J Orthop (Belle Mead NJ) 2015;44:E113-6. 31. Mathews CJ, Kingsley G, Field M, Jones A, Weston VC, Phillips M, et al. Management of septic arthritis: A systematic review. Postgrad Med J 2008; 84, 265–270. 32. Dave OH, Patel KA, Andersen CR, Carmichael KD. Surgical procedures needed to eradicate infection in knee septic arthritis. Orthopedics 2016;39:50-4. 33. Li SF, Cassidy C, Chang C, Gharib S, Torres J. Diagnostic utility of laboratory tests in septic arthritis. Emerg Med J 2007;24:75-7. 34. Bryan RS, DiMichele JD, Ford GL. Popliteal cysts. Arthrography as an aid to diagnosis and treatment. Clin Orthop Relat Res 1967;50:203-8. 35. Acebes JC, Sánchez-Pernaute O, Díaz-Oca A, Herrero-Beaumont G. Ultrasonographic assessment of baker’s cysts after intra-articular corticosteroid injection in knee osteoarthritis. J Clin Ultrasound 2006;34:113-7. 36. Canoso JJ, Goldsmith MR, Gerzof SG, Wohlgethan JR. Foucher’s sign of the baker’s cyst. Ann Rheum Dis 1987;46:228-32. 37. Kraag G, Thevathasan EM, Gordon DA, Walker IH. The hemorrhagic crescent sign of acute synovial rupture. Ann Intern Med 1976;85:477-8. 38. Von Schroeder HP, Ameli FM, Piazza D, Lossing AG. Ruptured baker’s cyst causes ecchymosis of the foot. A differential clinical sign. J Bone Joint Surg Br 1993;75:316-7. 39. Ozgocmen S, Kaya A, Kocakoc E, Kamanli A, Ardicoglu O, Ozkurt-Zengin F, et al. Rupture of baker’s cyst producing pseudothrombophlebitis in a patient with reiter’s syndrome. Kaohsiung J Med Sci 2004;20:600-3. 40. Munk PL, Lee MJ, Marchinkow LO. Musculoskeletal case 11. Ruptured baker’s cyst producing a pseudothrombophlebitis syndrome. Can J Surg 2000;43:255, 310-1. 41. Stein D, Cantlon M, Mackay B, Hoelscher C. Cysts about the knee: Evaluation and management. J Am Acad Orthop Surg 2013;21:469-79. 42. Sanchez JE, Conkling N, Labropoulos N. Compression syndromes of the popliteal neurovascular bundle due to baker cyst. 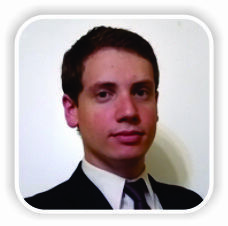 J Vasc Surg 2011;54:1821-9. 43. Herman AM, Marzo JM. Popliteal cysts: A current review. Orthopedics 2014;37:e678-84. 44. Dunlop D, Parker PJ, Keating JF. Ruptured Baker’s cyst causing posterior compartment syndrome. Injury 1997;28:561-2. 45. McCarthy CL, McNally EG. The MRI appearance of cystic lesions around the knee. Skeletal Radiol 2004;33:187-209. 46. Marra MD, Crema MD, Chung M, Roemer FW, Hunter DJ, Zaim S, et al. MRI features of cystic lesions around the knee. Knee 2008;15:423-38. 47. Smith MK, Lesniak B, Baraga MG, Kaplan L, Jose J. Treatment of popliteal (Baker) cysts with ultrasound-guided aspiration, fenestration, and injection: Long-term follow-up. Sports Health 2015;7:409-14. 48. Calvisi V, Lupparelli S, Giuliani P. Arthroscopic all-inside suture of symptomatic baker’s cysts: A technical option for surgical treatment in adults. Knee Surg Sports Traumatol Arthrosc 2007;15:1452-60. 49. 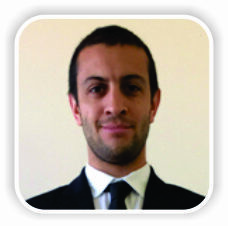 Sansone V, De Ponti A. Arthroscopic treatment of popliteal cyst and associated intra-articular knee disorders in adults. Arthroscopy 1999;15:368-72. 50. Jayson MI, Dixon AS, Kates A, Pinder I, Coomes EN. Popliteal and calf cysts in rheumatoid arthritis. Treatment by anterior synovectomy. Ann Rheum Dis 1972;31:9-15. 51. Handy JR. Popliteal cysts in adults: A review. Semin Arthritis Rheum 2001;31:108-18. 52. Rupp S, Seil R, Jochum P, Kohn D. Popliteal cysts in adults. Prevalence, associated intra-articular lesions, and results after arthroscopic treatment. Am J Sports Med 2002;30:112-5. 53. Pedowitz RA, Gershuni DH, Crenshaw AG, Petras SL, Danzig LA, Hargens AR, et al. Intraarticular pressure during continuous passive motion of the human knee. J Orthop Res 1989;7:530-7. 54. Hsiao MS, Kusnezov N, Sieg RN, Owens BD, Herzog JP. Use of an irrigation pump system in arthroscopic procedures. Orthopedics 2016;39:e474-8. 55. Wälchli B, Molnar J, Inderbitzi R. Rupture of a baker cyst with compartment syndrome. A rare complication of knee arthroscopy. Chirurg 1998;69:306-9. 56. Ushiyama T, Kawasaki T, Matsusue Y. Anterior tibial compartment syndrome following rupture of a popliteal cyst. Mod Rheumatol 2003;13:189-90. 57. Eichinger JK, Bluman EM, Sides SD, Arrington ED. Surgical management of septic arthritis of the knee with a coexistent popliteal cyst. Arthroscopy 2009;25:696-700. 58. Hall AP, Healey L. A. Infected synovial cysts arising as a complication of septic arthritis in a patient with rheumatoid arthritis. Arthritis Rheum 1968;11:579-84. 59. 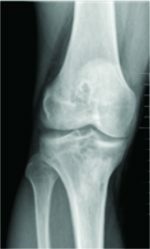 Mathews CJ, Coakley G. Septic arthritis: current diagnostic and therapeutic algorithm. Curr Opin Rheumatol 2008;20:457-62. 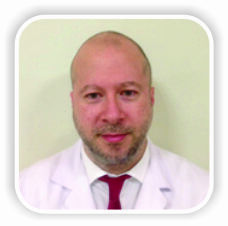 How to Cite This Article: Verbner J M, Pereira Duarte M, Zicaro J P, Yacuzzi C, Costa-Paz M. Infected Baker’s Cyst: A New Classification, Diagnosis and Treatment Recommendations. Journal of Orthopaedic Case Reports 2018 Nov-Dec; 8(6): 16-23.